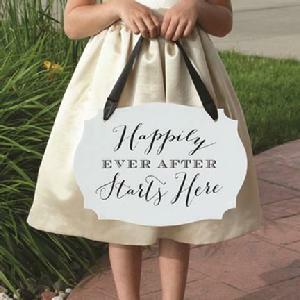 35693 - White, two-sided, foam-core, crest sign with "Happily Ever After Starts Here" on one side and "And They Lived Happily Ever After" on the other side, printed in black. (see below) 14" x 10". 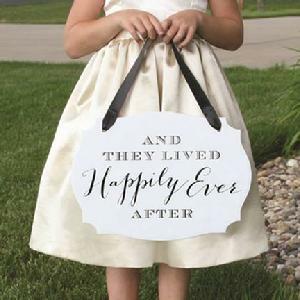 One 7/8" black satin ribbon included for holding or hanging. Pre-drilled holes.